Located in the majestic Flinders Ranges National Park, South Australia, Wilpena Pound Resort is 430km North of Adelaide. This extraordinary landscape is 800 million years old and is home to the indigenous Adnyamathanha people. Guests will enjoy a haven in the outback with 60 hotel rooms, 15 safari tents, a picturesque campground, restaurant, bar, bistro and swimming pool. The National Park Visitor Information Centre and a general store are also within the resort. Captain Stralights overlooks a towering 400 year old River Red Gum tree, in the magnificent Ikara - Flinders Ranges. A buffet breakfast is served idaily 7am to 9:30am, regional a la carte menu is available from 6PM daily. Bookings are recommended. Poddy Dogers Bar is open midday to late daily for simple lunches and dinners. A children's menu is available, and most menu items are available to take away. Simply ask at the counter when ordering. Picnic lunches also available on prior request. The bar has an extensive menu, which includes beverages, light meal options and our signature famous Wilpena Pounder Burger. 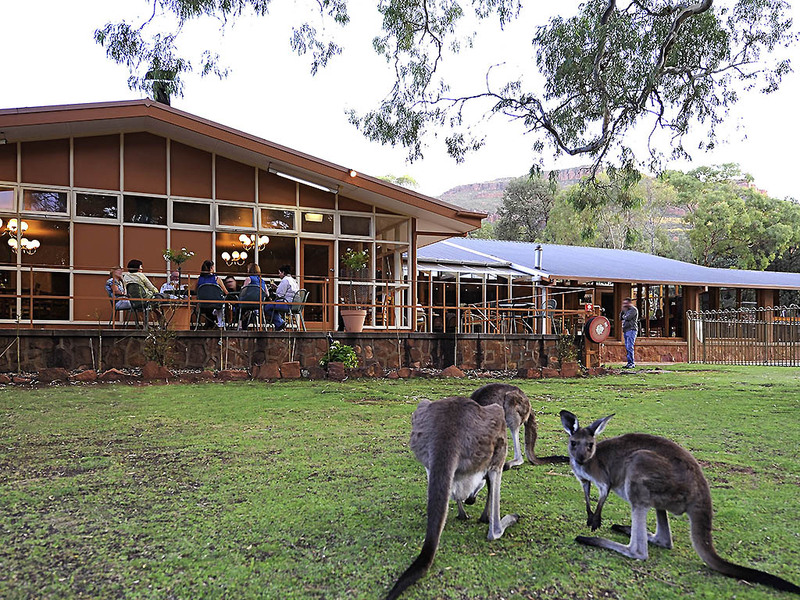 Guests can dine inside or outside at the alfresco area, surrounded by the sounds and sights of Wilpena Pound.